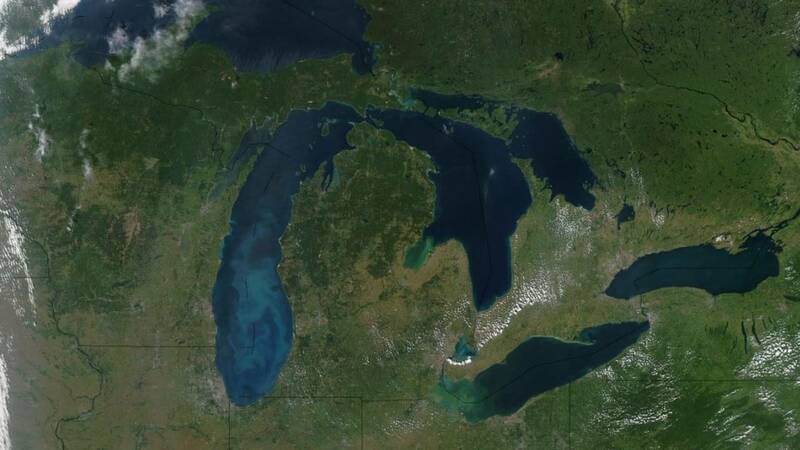 President Trump's 2020 budget proposal, announced Monday, includes a 90 percent cut for the Great Lakes Restoration Initiative (GLRI). The initiative, started back in 2010, has accelerated cleanup of the most polluted Great Lakes sites, reduced phosphorus loadings that often cause harmful algal blooms, and helped keep invasive species out of the Great Lakes. Michigan Senators Gary Peters and Debbie Stabenow issued statements on Monday, vowing to fight against the proposed cut. “The Trump Administration just doesn’t get it and is once again gutting funding for the Great Lakes. Just like last year, and the year before, the people of Michigan will make their voices heard and I will lead the bipartisan fight to restore every penny," said Stabenow. "President Trump’s budget yet again severely slashes funding for the Great Lakes Restoration Initiative. This can't happen—our lakes need to be protected." said Peters. "I have long championed the Great Lakes Restoration Initiative, and I will continue to do everything I can to protect and preserve Lake Erie, including preserving this critical program and its funding." Trump has previously attempted to cut funding to the Great Lakes project in previous budgets, but both were not approved by Congress. The Great Lakes program is the largest, taking in about $300 million annually since it was established in 2010. The administration sought to zero out spending on the regional water initiatives in its first budget two years ago, describing them as “primarily local efforts” and contending state and local governments were capable of paying for them.